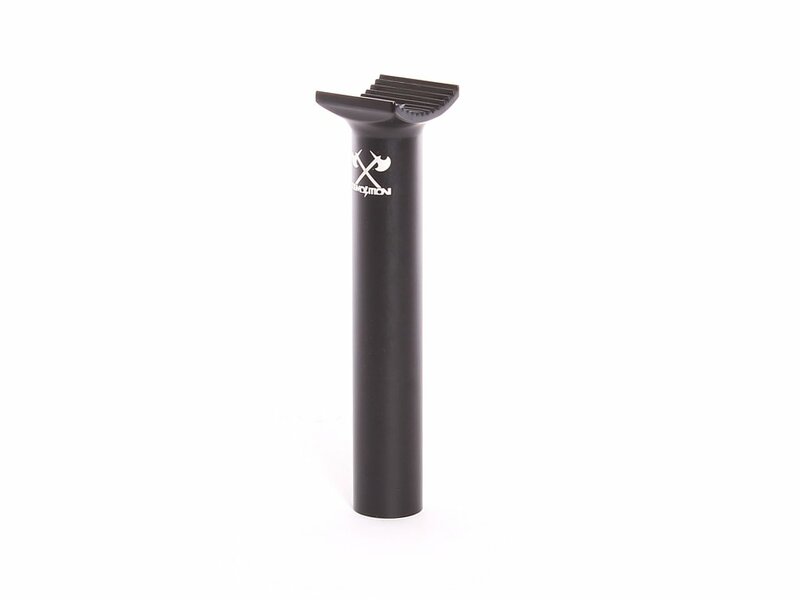 The Demolition "V2" Pivotal Seat Post is made of high quality 6061 aluminium. The Demolition "V2" Pivotal Seat Post comes in 135mm length and allows you with the Pivotal system mounting a Pivotal seat which get fixed on the seat post with only one screw coming from the top side and through the saddle. The Demolition "V2" Pivotal Seat Post is adequate for low seat setups, really light and keeps your bike setup looking clean. The Pivotal system provides you individual adjustable angles for your seat.